President Donald Trump, done with the nuclear summit in Singapore, turned his attention to a show business adversary on Tuesday. "Robert De Niro, a very Low IQ individual, has received to many shots to the head by real boxers in movies," the president tweeted. 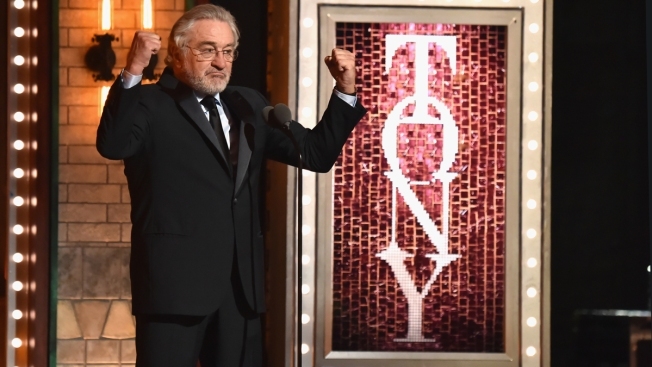 At the Tony awards over the weekend, De Niro launched an expletive at Trump and pumped his arms for emphasis. Many in the audience stood and cheered, while TV censors quickly bleeped out the offending words. On Monday, De Niro apologized to Canadians for the "idiotic behavior of my president." De Niro said Trump's remarks about Canada are a "disgrace" and apologized to Prime Minister Justin Trudeau and others who attended the Group of Seven summit of leaders in Canada. Trump called Trudeau "dishonest" and "weak" following the summit on Saturday. Trump advisers also ripped Trudeau, branding him a back-stabber. On Tuesday, Trump fought back, concluding his Twitter jabs with "Wake up Punchy!"